My favorite shot of the Jefferson Memorial. Copyright Tia D. Peterson. All rights reserved. Where Is the Jefferson Memorial? 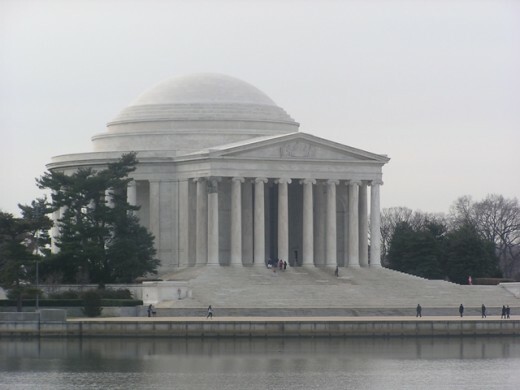 The Jefferson Memorial is one of the most picturesque places to visit in Washington, D.C. and a must-see for anyone who has about a half a day to spend doing something beautiful. Situated at a waterfront, the Jefferson is visible from several points, and adds a wonderful backdrop to a picnic, quiet conversation, jog, or walk with the kiddos. 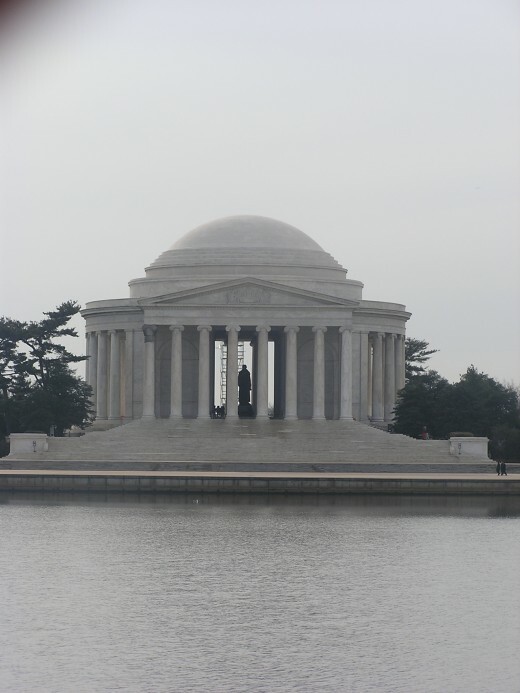 As you can see from the photos, even on a cloudy day, the Jefferson stands out and is a favorite among D.C. residents. 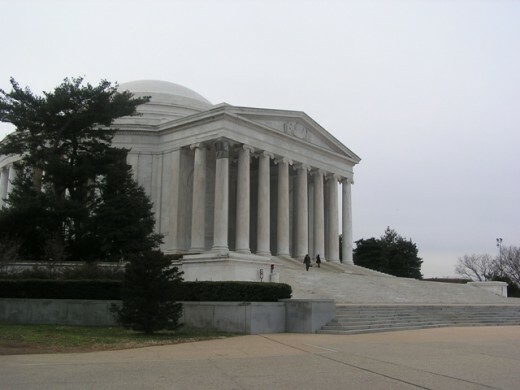 Unlike the Lincoln Memorial, which is often placed in high-profile, legal-type movies, the Jefferson is serene and extremely calm. 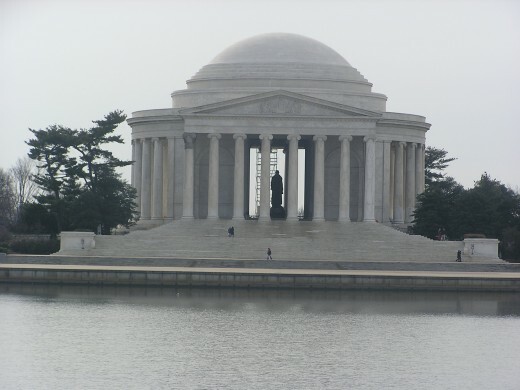 I don't know if it's place in nearly as many movies as the Lincoln Memorial is, but the circular shape of the Jefferson surrounded by water makes it a wonderful place to take pictures. 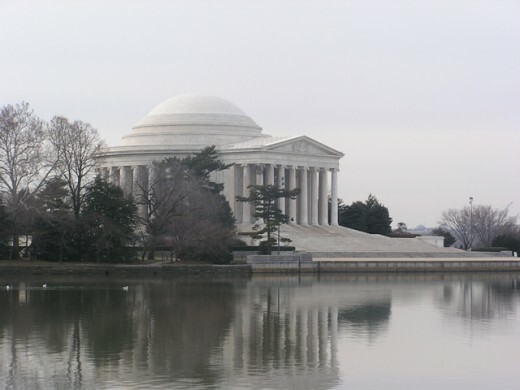 It was some time ago, but I took these shots on a cloudy Saturday morning in Washington DC, where the beautiful Jefferson Memorial resides. 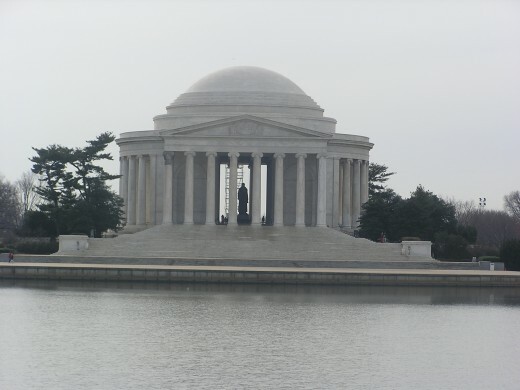 The Jefferson Memorial is one of local resident's favorite places. Majestic and surrounded by water, it shoots well in any (or no) light. 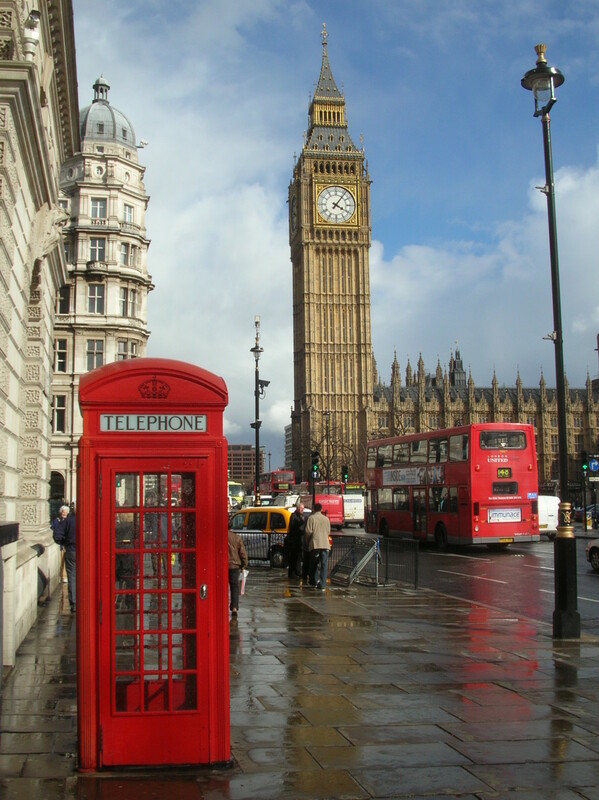 It's breath-taking. Note that these photos weren't taken with black or white film and I did not remove the color (they are digital color photos). It was just so cloudy and gray that day that nature did the black and white for me perfectly. Copyright Tia D Peterson. All rights reserved. Thanks, Duchess! I used to love playing amateur photographer, and there's no better place to shoot (in my opinion) than DC! Great shots! I visited Washington this year and tried to get pictures. So many people!!! 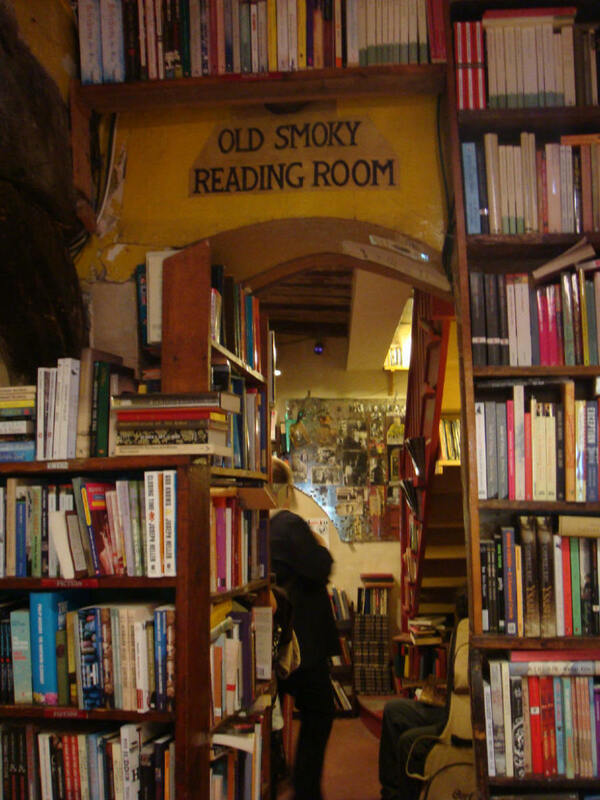 Next time, I'll go early in the morning, maybe I'll be as lucky. Thanks! You should! It is very serene.